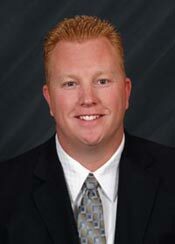 Kent Stewart is the principal broker and owner of Insurance Professionals of Arizona. With over 15 years of experience in the insurance and financial industry, Kent’s wide array of product knowledge enables him to benefit his clients in a multitude of areas. Kent earned his Bachelor of Science degree in Accounting in 2000 from Arizona State University school of business; he went on to earn a Master of Business Administration from the University of Phoenix in 2003. Kent believes in continually learning and perfecting his craft and in 2012 Kent earned his Certified Insurance Counselor designation and has kept that designation active since that time. Being a CIC puts Kent into the top 5% of agents nationwide when ranked by education. Kent is also an Investment Advisor Representative with Dyad Active Portfolio Management, located in Mesa Arizona. As such, he has passed 2 General Industry/Product Exams including the Series 7 and Series 31. He has also passed 2 State Securities Law Exams including the Series 66 and Series 65. Prior to Dyad, Kent was trained by Morgan Stanley Dean Witter in Manhattan, New York. Kent’s understanding of insurance and investments principles allows him to tailor plans and products to fit each client’s individual needs in a way that will compliment the client’s values and goals. Kent resides in Mesa, Arizona with his beautiful wife Rachel and their 4 wonderful children. Kent has earned the designation of Certified Insurance Counselor. The CIC designation is one that distinguishes an agent by education. Only about 5% of agents have the award nationwide. With over 100 hours of formal insurance training, CIC’s are recognized among the best and most knowledgeable insurance practitioners in the nation. The CIC designation signifies that your Certified Insurance Counselor has obtained the highest level of competency provided in the insurance industry. With the annual update your CIC receives each year from The National Alliance for Insurance Education & Research, you can be assured that he or she is the most capable and current in the insurance industry. The CIC designation is a mark of distinction that represents a commitment to continuous enhancement of one’s knowledge and service. CIC is nationally recognized as a symbol of professional excellence and leadership in the insurance industry.